It is a great honor for the expedition. 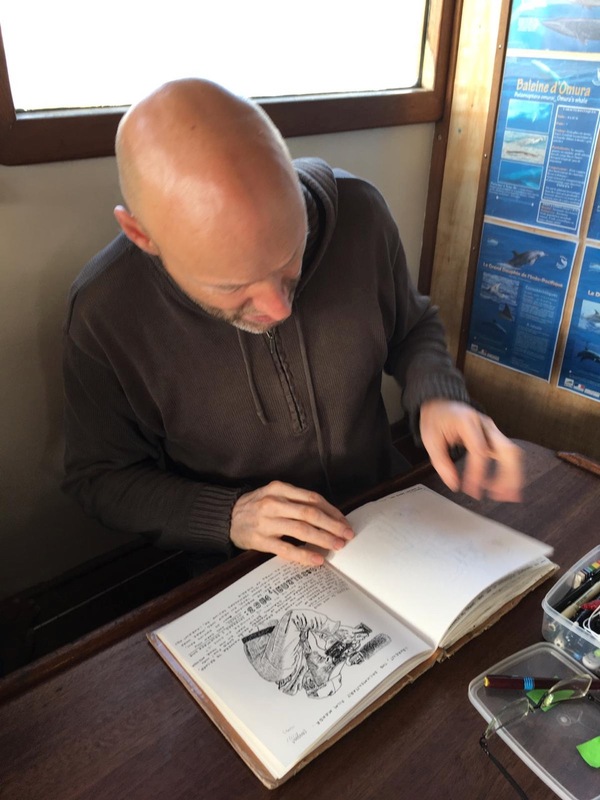 The comics artist Anton Kannenmeyer, one of the most talented author in his art in South African and internationally renown, recently embarked onboard Fleur de Passion for a few days. 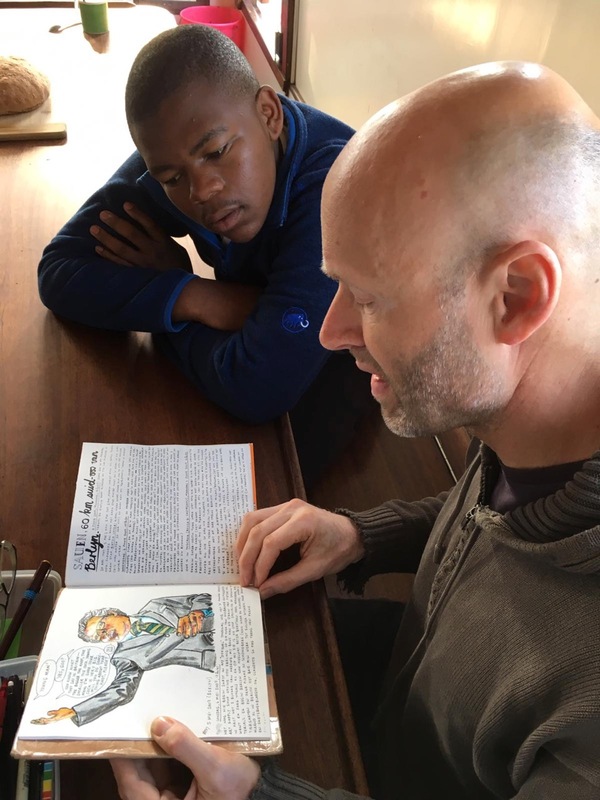 Born and raised in Cape Town and also known as Joe Dog, he is one of the co-founders in 1992 of Bittercomix magazine. He has earned a reputation for his uncompromising, corrosive and eminently subversive appreciation of South African society, especially the Afrikaner community in which he grew up, and for his rather scathing black humor. 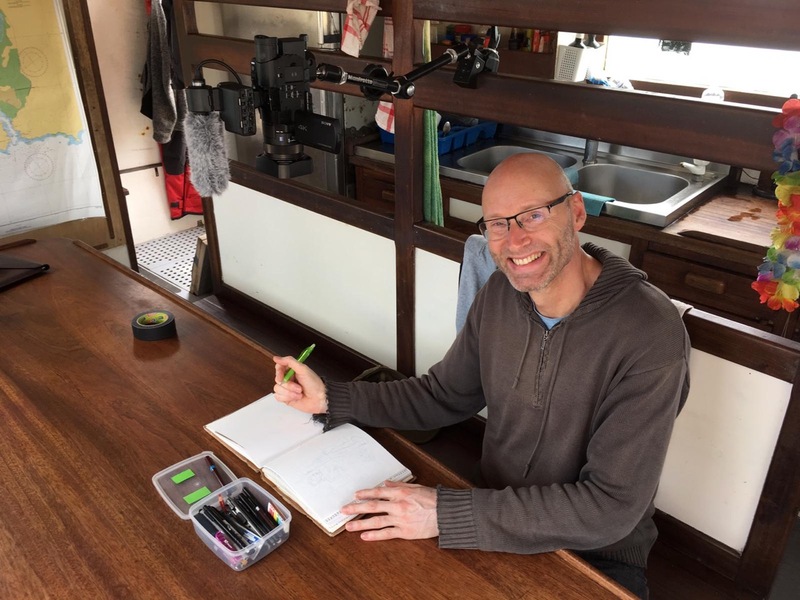 The contact was established thanks to Swiss cartoonist Alex Baladi who was on board in late 2017 (see the episode 4 of the OME documentary series) and it turned out very quickly and naturally that a South African cartoonist such as Anton should be part of the adventure. He therefore embarked on Fleur de Passion in Knysna on November 26, 2018, for a short navigation to Mossel Bay further South. 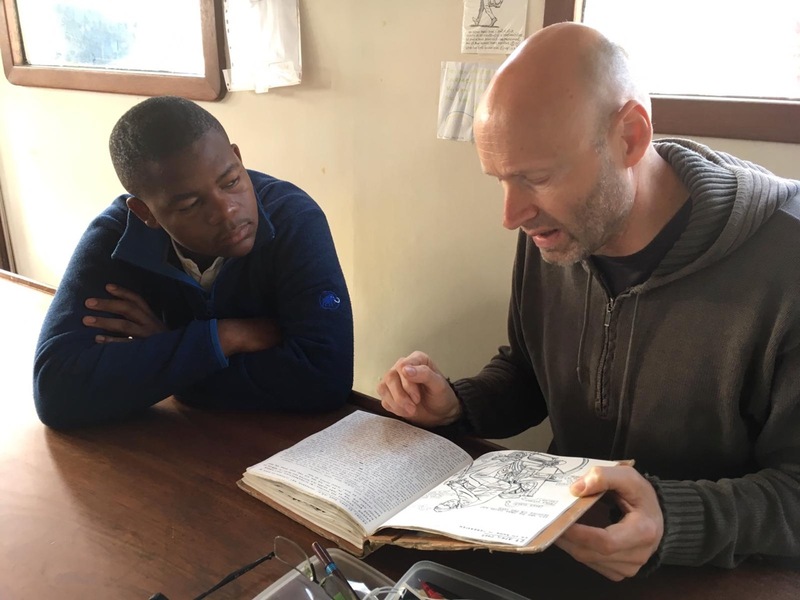 With a simple ambition: to chronicle the expedition from a South African perspective and share his vision of the challenges of living together his country is facing, among a crew more cosmopolitan than ever since counting, besides Swiss and French sailors, two young deck’s hands from Geneva and four South Africans teenagers from Cape Town province. 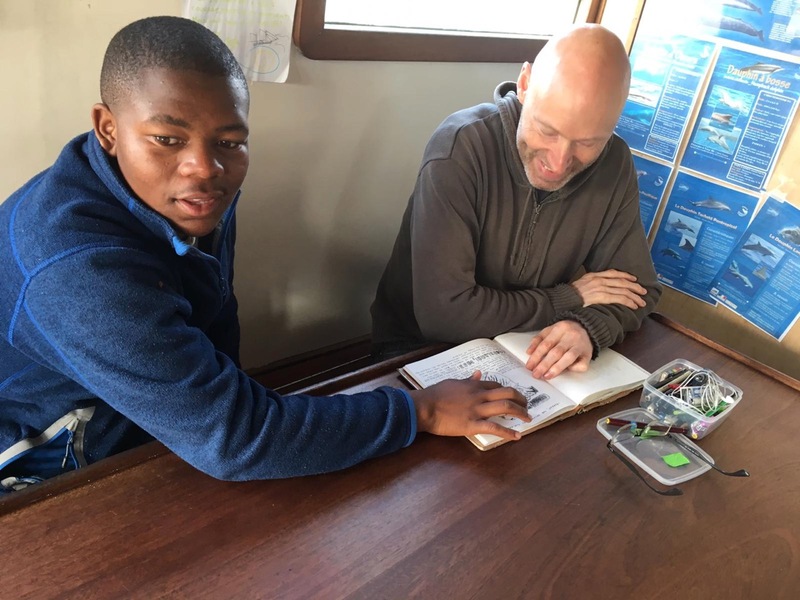 Because this is also what The Ocean Mapping Expedition is all about: promoting and implementing the uncompromising values of solidarity, of peaceful relationships with the Other in a spirit of living together.